As soon as I get up I put the water in pan and add the raisins and cinnamon and bring to boil. Then, fold in oatmeal, cover, turn off burner. Do your get-ready-for-work stuff for 10 to 15 minutes. 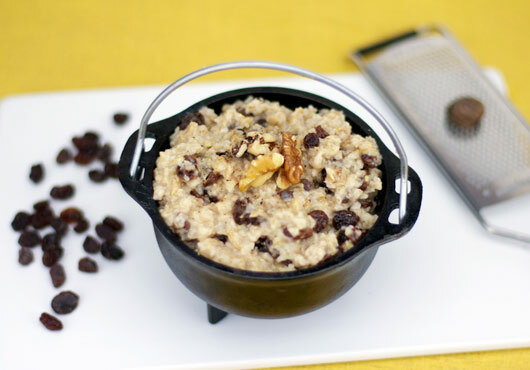 When you return, you will be pleased to find cooked oatmeal with body - filled with plump juicy raisins. Serve hot with milk or if your chores took longer chunk up into bit size nuggets and serve cold with milk. If you want to treat yourself or entice picky eaters serve with milk, top with whipped cream, sprinkle with cinnamon and a few crushed walnuts. Looks wonderful and children will feel like they are having dessert for breakfast. 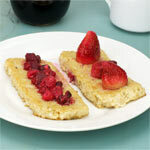 If your strapped for a quick healthy dessert, your guest would never guess they are having breakfast for dessert? 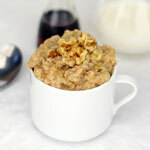 When I photographed this recipe submission, I found that this oatmeal benefits a lot from a little added sweetness. I'd strongly recommend adding a few teaspoons of brown sugar or a drizzle of maple syrup. Other than that change, it was great. This is an easy healthy start for one person and can be easily adjusted for more by following direction on box. I use a heavy one quart tri-clad pan with good fitting cover. Mr Breakfast would like to thank improv-food for this recipe. 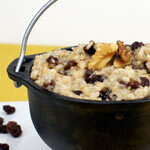 What do you think of Cinna-Raisin Oatmeal? I thought it was delicious and easy. I make this recipe a lot, with nutmeg. 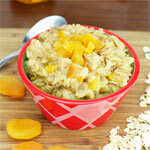 It take one minute using quick oats. 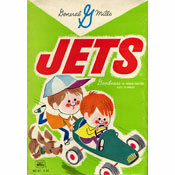 I top it with a spoonful of jam for sweetness and whole milk for creaminess. Delicious! You can make this in the microwave too. Just put the oats and water in bowl. I also add a pinch of salt. Then, microwave for about 3 minutes. Then stir the rest of the stuff in and wait 1 minute so the raisins get soft. Fast and delicious and I do it all the time. This is perfect! I used 1/2 teaspoon of cinnamon, and then sprinkled it with sugar before eating.